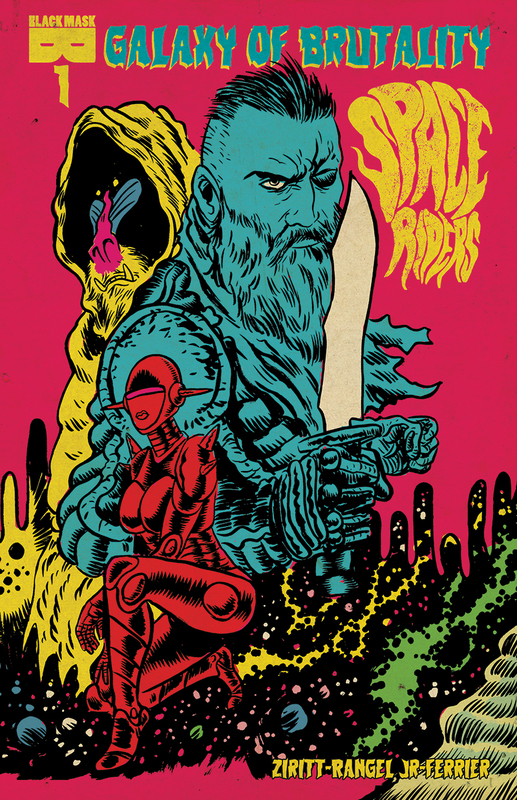 Smashing into comic shops on April 29th, the SPACE RIDERS are back! 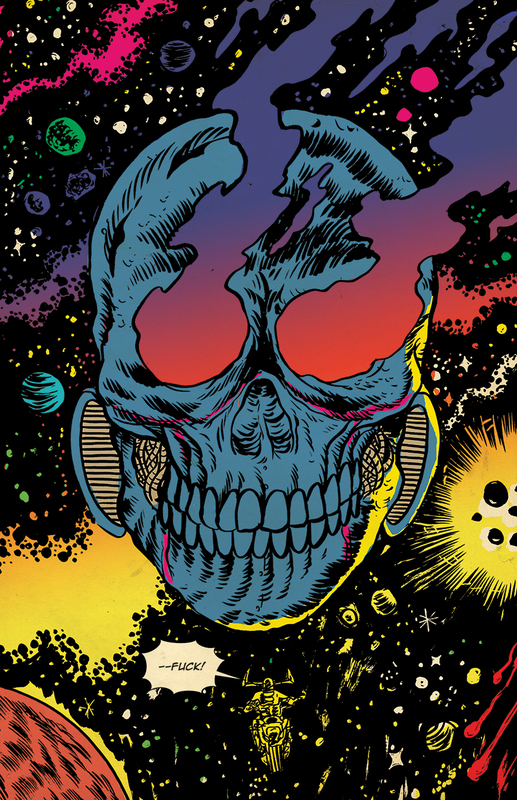 This brand-new series reunites artist Alexis Ziritt, writer Fabian Rangel Jr., and letterer/designer Ryan Ferrier for the next installment of the insane space opera that relentlessly bashes your brain with a fistful of awesome! Have you heard of Black Mask? 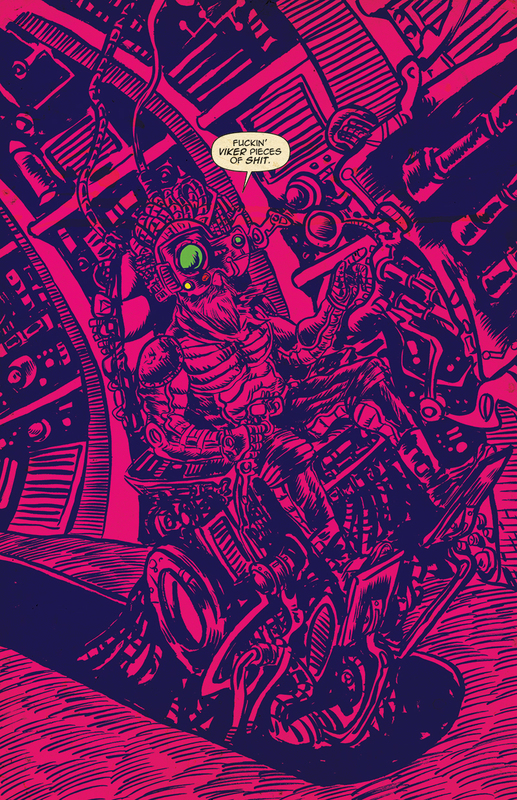 Well you might not have if Space Riders hadn't stomped its way through the comic market on its first go-round way back in 2015. 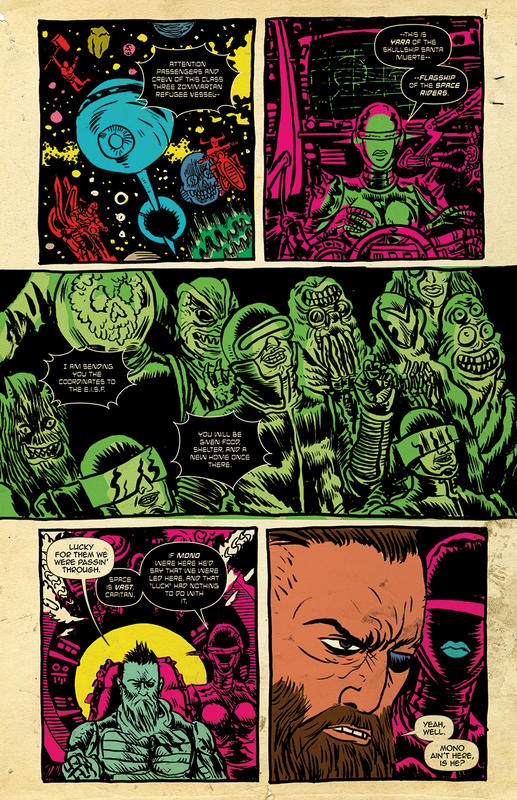 But if you missed it, don't sweat -- you don't have to have read volume 1 to enjoy volume 2. Hell, you don't even need toknow how to read in order to enjoy volume 2! Just shove your face into this book and breathe in the beautiful madness. 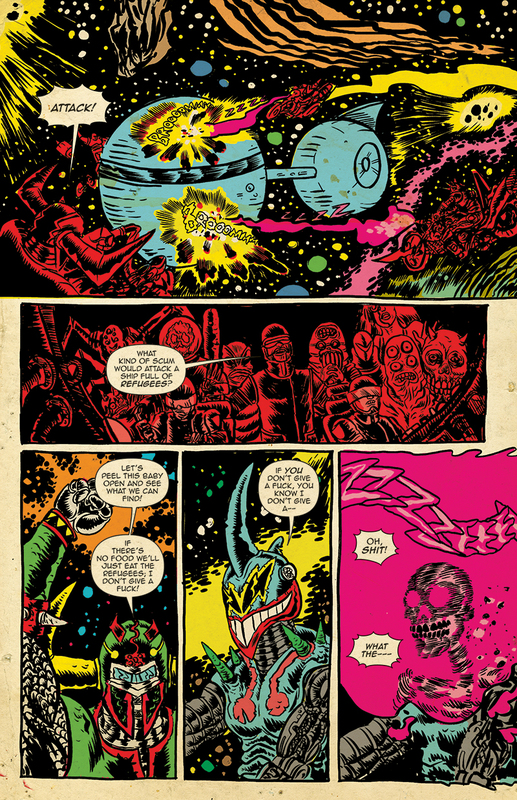 SPACE RIDERS: GALAXY OF BRUTALITY #1 Created by: Alexis Ziritt & Fabian Rangel Jr. and Written by: Fabian Rangel Jr., Art by: Alexis Ziritt and Lettered/Designed by: Ryan Ferrier will be ON THE SHELF April 29, 2017.